What is the SIDF Program? The program is one of the oldest of its kind and has over 100 visa free destinations which makes it one of the most well respected programs in the world. 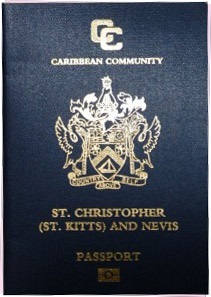 When was the SIDF Established in St Kitts and Nevis? The Sugar Industry Diversification Foundation (SIDF) was established on 16 September 2006 with National Bank Trust Company as Founder. The SIDF is one of three options approved by the cabinet in addition to real estate and investments. What is the Purpose of the SIDF Program? Its main purpose was to help the government to transition from sugar as the main industry to a more diversified economy by researching and funding the development of alternative industries. The foundation has been assigned as a specially approved project for the purpose of the Citizenship by Investment program. How Much Investment is Required for a Foreign National for Citizenship? Foreign nationals need to contribute a sum of at least US $250,000 to qualify, subject to stringent due diligence checks. All applications are made to the Citizenship by Investment Unit of the Government who will then process them. How it helps the St Kitts and Nevis Administration? Since its beginning, the foundation's aim has been widened to include providing support to the Government in its efforts to diversify the national economy and maintain economic stability, and to support, finance or undertake the development of both new and existing industries, projects and enterprises. The foundation may provide grants, loans, budget support, debt forgiveness or assistance of any kind to the Government or persons or institutions that qualify for this type of assistance under its policies. What is Capisterre Farm and its Potential for Investment? The Foundation has invested over US $55,000,000.00 into the development of St Kitts and Nevis to date by way of grants, loans and shared holdings. 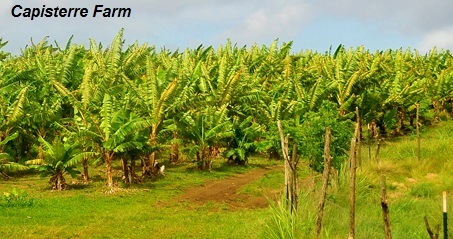 Capisterre Farm is just one example of a project which has received funding, and the St. Christopher National Trust was the beneficiary of a grant. Money has been provided to the Development Bank of St Kitts and Nevis to establish several funds including the Agricultural Fund for the Realization of Economic Empowerment through Subsidized Housing (FREESH). An investment was also made in the five-star luxury resort, Kittian Hill, which is currently under construction and the St Kitts and Nevis Authority has received financing for the airlift support program. How SIDF is Adding value to St Kitts and Nevis Economy? After realizing that more substantial operating management structures were urgently required to effectively and efficiently manage the affairs and growing assets of the Foundation, the Councillors passed a resolution to establish an office. The office was opened on 16th April 2012 and the full time management team provides the Foundation with the capacity it needs in order to carry out detailed analysis of proposed projects and investments so that they can determine their viability and value to the economy. The office management team also monitors the administration of loans and execution of projects and creates greater awareness of its activities. All activities carried out by the foundation are geared towards its key objective - Providing a sustainable holistic platform for future growth and development.